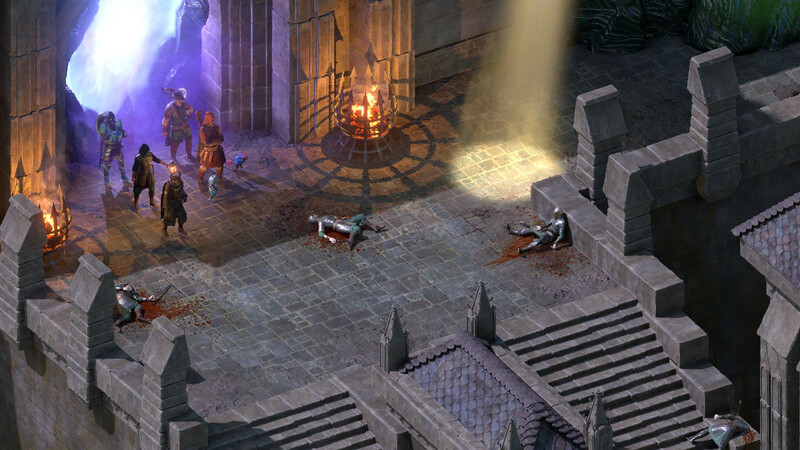 Pillars of Eternity II released earlier this year and I had a swell time exploring the Deadfire Archipelago despite a few shortcomings here and there. There have been multiple updates to the game since then, adding free content, bug and balance fixes as well as plenty of quality of life improvements and mod support. 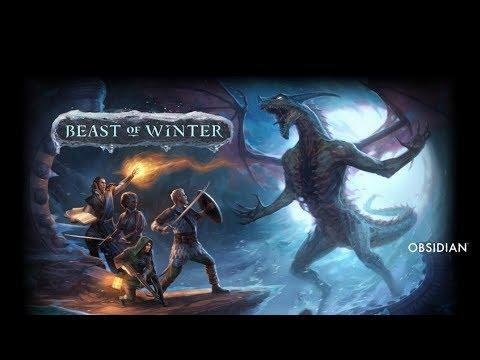 Beast of Winter is the first batch of content that expands the game in any significant way and sees the Watcher venture forth to chilly southern seas and get caught up, in typical fashion, in events that could have repercussions for the whole of the world of Eora. If you’ve been paying any attention to the series’ lore, the title of the DLC is a clear allusion to the god of entropy, Rymrgand, and the Watcher is set to deal with both his worshipers, his very cheery demeanor and disposition towards living beings. This is all very self-contained and all of the action is limited to the new area of Harbingers’ Watch and the places adjoined. I’m not going to spoil any of the actual plot beyond that but the DLC follows a single main quest thread with two or three short side quests that can be taken in the new area. It took me around four or a bit more hours to see it all though, in typical Pillars and Obsidian fashion, how you approach the challenges is fairly open-ended. There are multiple ways to resolve things and there’s a fair effort made to accommodate most character types and dispositions. There’s a new companion that can be recruited, Vatnir the Godlike, but he seems more like an excuse for the plot than a memorable addition to the party. I haven’t bothered to replay the whole game with him but from what I’ve seen he’s simply a second-tier companion in that he has a few things to say here and there but you can’t really form a relationship beyond that. There is a lot to enjoy in this new part of the journey if you’re into the world building and lore of the Pillars universe. I know that that doesn’t appeal to every type of gamer but I found that the twists of the new quest line directly, and unexpectedly, fleshed out many of the things players hear about or had previously affected their life as the Watcher. Like with the rest of the game, there are references to the first title, but the new mysteries of the Deadfire Archipelago are also touched upon and I certainly appreciated how things seemed to tie in with the new environment visited and challenges presented. It doesn’t really affect the overall outcome of the game, and pretty much only adds a single new narration panel in the epilogue, but it certainly helped build up my interest in the game series and its world. I have to mention that I’m still in love with the general art style of the game. 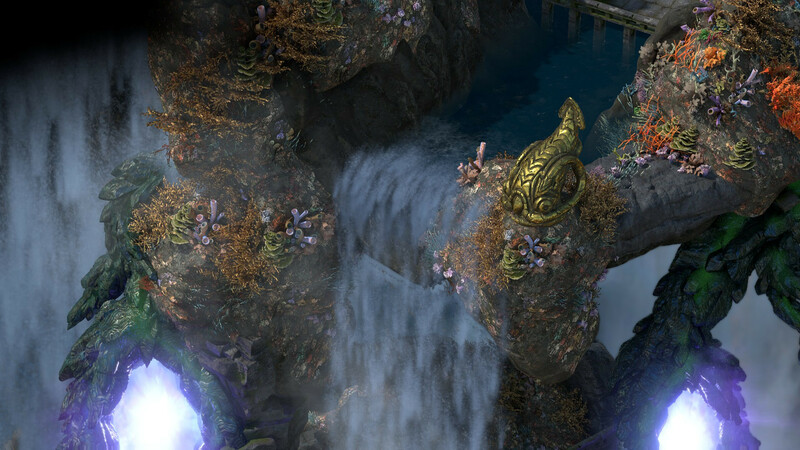 The new locations, and some of the puzzle mechanics that affect the environment, do look really great. There’s also a few new enemies and gear but these don’t stand out as much as the rest of the environs. Things aren’t just limited to the White that Wends, so don’t worry about getting too sick of seeing just snow and ice. So, is Beast of Winter worth getting? Despite its brief length and initially obvious premise, I enjoyed my time with it. It adds to the general experience of exploration and mystery the base game was already good at doing. In a few ways it’s a little too self-contained; at times it the new content feels like it wouldn’t be out of place being just another one of the big islands you can chart and explore which often have their own distinct quests and sights to see. Although you do get a chance to interact with Rymrgand in the rest of the game, this DLC also affords you a better chance to appreciate just how fuzzy and warm this god really can be. There were one or two great dialog options that showed just how much I appreciated him and, in turn, saw me get a lovely and quite permanent reward. But that's probably enough joking about the god of cold and entropy for the purpose of this review. I would have wished the adventure a bit longer, the new companion more interesting, and the quests little more non-linear or at least more in line with the free-flowing structure of the rest of the game. That said, those faults aren't enough to seriously degrade the overall experience. Obsidian has played up its strengths well—the world building is strong and the choices you can make continue to be interesting. The same care at making outcomes vary possibly as wildly or as subtly as you like, much as with the rest of the game, is very much present here. You can grab Beast of Winter on Steam or GOG. There's also the season pass that includes two more upcoming DLC on GOG, the Humble Store or Steam. PSA: GOG doesn't have Linux version up yet. Just noticed after I bought it. EDIT: As stated eslewhere, it does now. Took only a day or so. That this one is more linear is actually a great thing. One of the worst parts of PoE2 is that its open world doesn't fit its story at all. The story requires great urgency, yet you spend months on end exploring the entire world before you return to the actual main story and have by then mostly forgotten about it and the "urgency" of it is completely disenchanted and immersion lost. The game should have opened up gradually as you follow the story, just like PoE1 did. They tried telling a typical linear story in an open game. Which just doesn't work. At all. If they tell a linear story in a more linear way here, that means they at least learned something. Of course, the additional companion being boring is par for the course. All companions in PoE2 are borefests and want to hump you like some weird fan-fiction. Chris Avellone is deeply missed. tumocs PSA: GOG doesn't have Linux version up yet. Just noticed after I bought it. Some Linux DLC installers on GOG don't get an update because they don't need it, for example the Cosmo Pet DLC and the Captain's Footlocker DLC are in reality just a text file which tell the game to enable the content. If you manually disassemble the Windows installers (which I did prior to posting this) of these same DLC, you'll get the same file including the same MD5. Technically for Windows and Mac, all GOG does is relabel and repack them using the latest version number, nothing more. As for Beast of Winter, I loaded up my Wizard save, but haven't really had a chance as I have been busy with the first one trying to finish the content with a Paladin. Note removed, it seems to now be up. * Is this even phrased correctly? This is about the only reason I don't buy more games on GOG. Though there are a few download managers for GOG, I am not sure how they handle updates. I am already using nVidia cards, so running Steam and dealing with their DRM isn't as abhorrent to me as it is to others. Personally I think when commercial companies are willing to support us with their closed source softwareit is more important that we support them back rather than complain. Would it be better if everything was open source? Most definitely. But even AMD and Intel have firmware blobs.